Circles of silver dots on mauve A4 paper for crafts and artists (pack of 10 sheets). 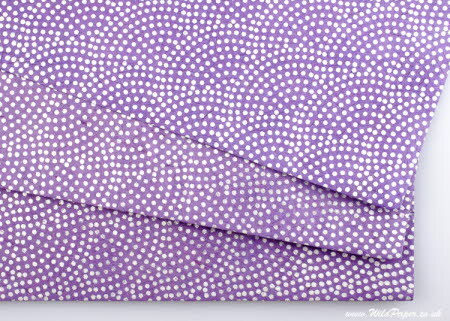 Screen-printed design of radiating circles of silver dots on mauve lokta paper like the feathers of Guinea Fowl. This bright lightweight 55 gsm lokta craft paper is thin and flexible and great for a wide variety of crafting projects. It has a smooth calendared top surface and a slightly less smooth reverse surface in mauve.